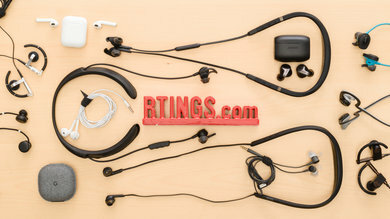 The RHA TrueConnect are okay, mixed-usage, truly wireless in-ears that are great for sports. Their small design is stable, breathable, and portable. 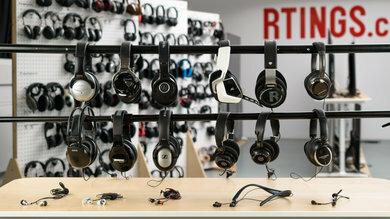 They also passively isolate a good amount of ambient noise, making them suitable for commuting or to use at the office. 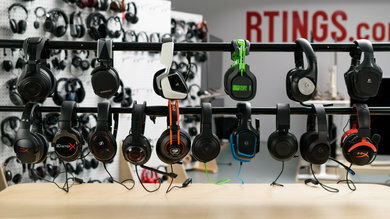 Unfortunately, they have very high latency and won’t be great for watching videos and gaming. 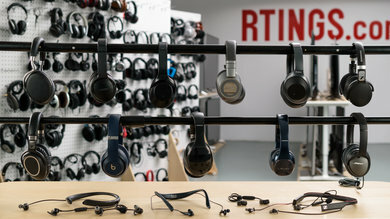 On the upside, their battery life is decent for truly wireless in-ears, and some may like their darker sound, especially on bass-heavy genres. They won’t be great for vocal-centric or classical music. Comfortable fit with many tip options. 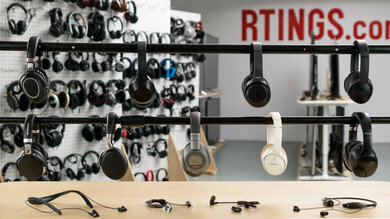 The RHA TrueConnect are well-designed, truly wireless headphones. 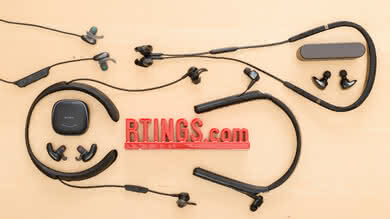 They feel solid and their lightweight design feels comfortable enough for long periods of time. You also get plenty of tip options, both silicone and foam. 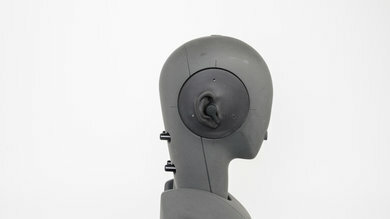 However, the in-ear fit might not be for everyone, and you really need to push them inside your ears, even more so when registering commands on their physical control scheme. On the upside, they come with a great, hard charging case that offers 4 additional charges. They are also well-built and are stable enough for sports. 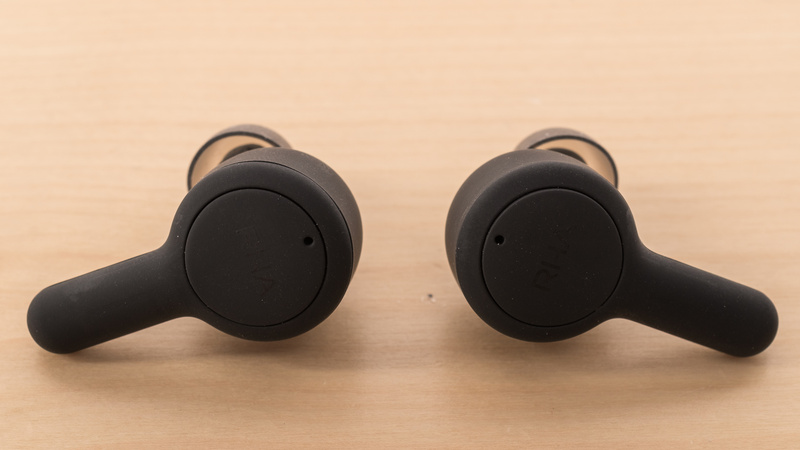 The RHA TrueConnect are small truly wireless earbuds that have a circular design with short stalks, like the Anker SoundCore Liberty Air, but with a more premium feel. 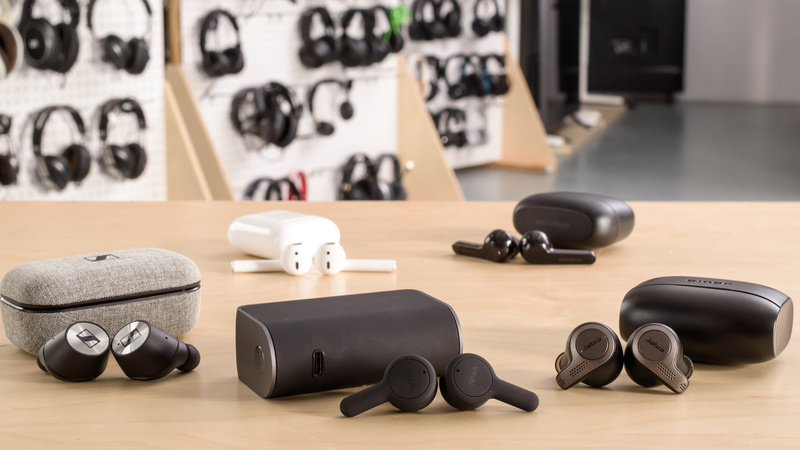 They come in a matte all-black design that isn’t flashy and doesn’t protrude much out of your ears, which makes them even more low-profile. 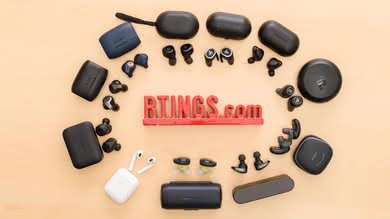 These in-ears are fairly comfortable and come with a wide variety of silicone (3 sizes) and foam (3 sizes) tips to help you find the perfect fit. The buds are lightweight, and you barely feel them once they are inside your ears. However, they enter the ear canal. This might not be ideal for everybody, as you may feel some fatigue after a while. 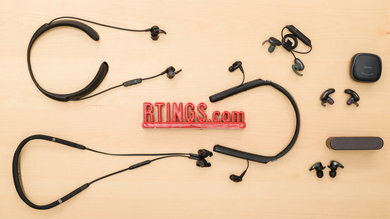 Also, since they have physical buttons on the earbuds, you need to lightly push the earbuds inside your ears to register commands, especially with multi-press commands. 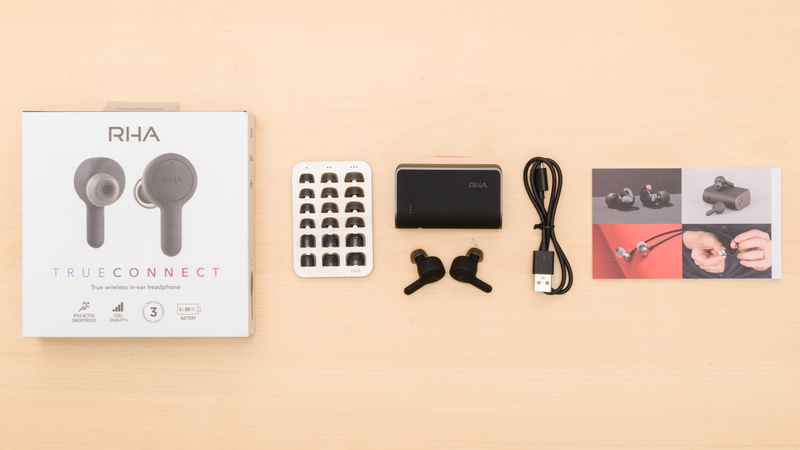 The control scheme of the TrueConnect is surprisingly complete for truly wireless in-ears. 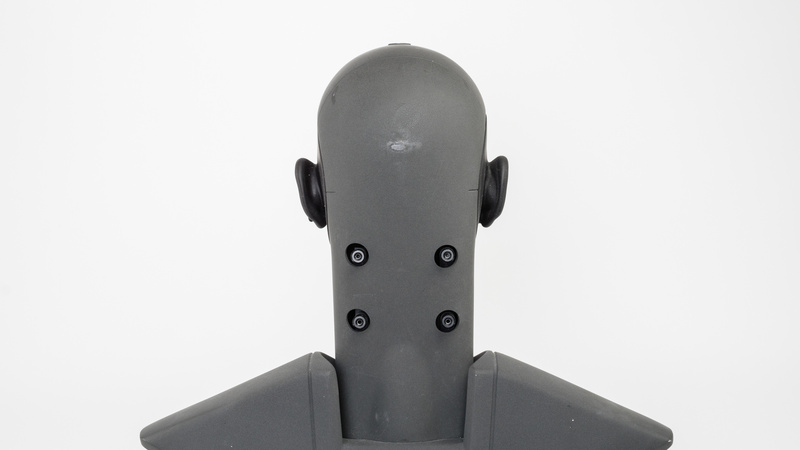 They have one physical button on each bud and offer most functionalities. You can play/pause or take/end calls on both earbuds, which is nice. You can also control the volume on the right earbud and skip tracks with the left one with multiple presses. They can also activate your device’s voice assistant. 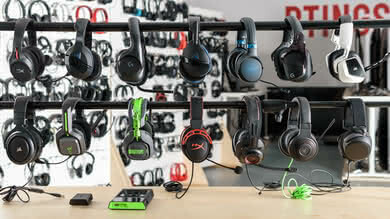 While the control scheme is easy to use, you need to push the headphones inside your ears for some inputs to register, especially on multi-press commands. Doing so can get a bit uncomfortable. 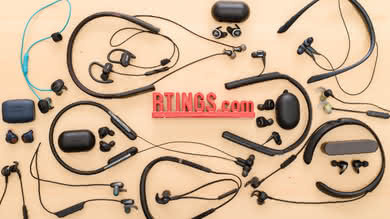 Like most in-ears, the TrueConnect are very small earbuds and don’t trap much heat inside your ears due to their design. You shouldn’t feel that much of a difference in temperature when wearing them for long periods of time, and won’t sweat more than usual when working out. 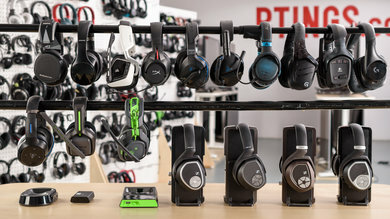 Like most truly wireless designs, the TrueConnect are very portable. 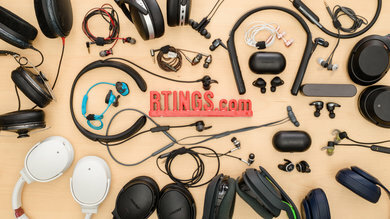 You can easily fit the two buds inside small pockets or a bag, and their case, while slightly bulkier than some other truly wireless headphones, is also easy to store. 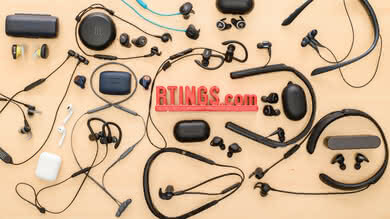 They come with a great, hard charging case that protects the headphones well against scratches and impacts. 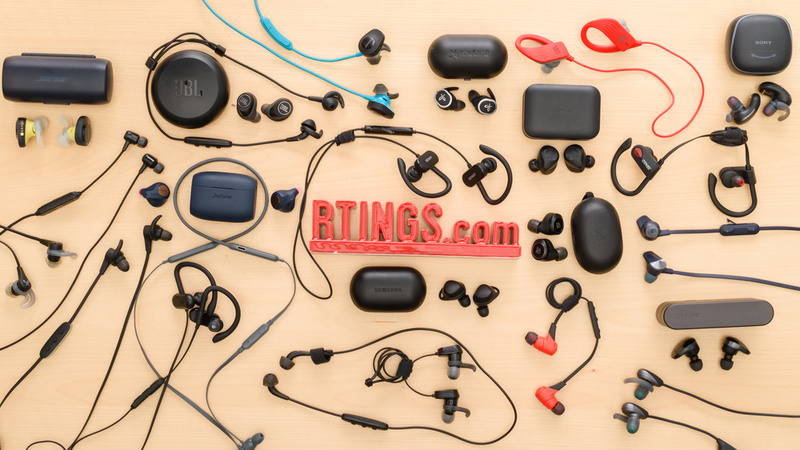 However, while the headphones are rated IPX5 for sweat and water resistance, the case isn’t. This case doesn’t have a lid like most truly wireless cases, but swivels to open. This is a nice touch and prevents the case from opening when dropped. Overall, the case is solid, feels heavy, and is well-made. 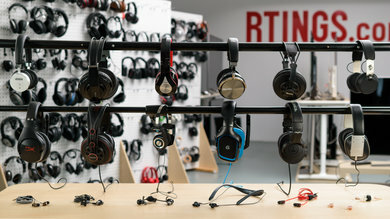 The TrueConnect are well-built truly wireless headphones. 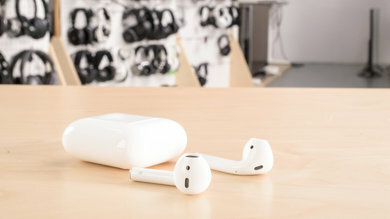 The earbuds feel dense enough to survive a few accidental drops but could break if you were to sit or step on them, because of the stalk design. Nevertheless, they feel solid and shouldn’t break from normal usage. 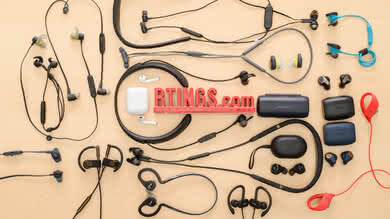 They are also rated IPX5 for sweat and water resistance, which is good, but we don’t test this internally. 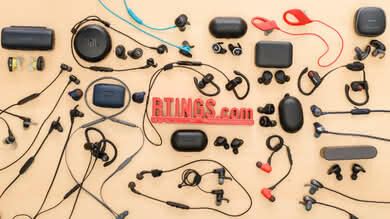 The TrueConnect are stable in-ears that can be used for jogging and most sports activities. They also come with a good amount of tip options, so you should find one that will have a secure fit inside your ears. Most people will find that the foam tips offer better stability than the silicone ones. 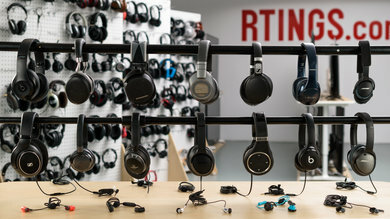 They shouldn’t pop out of your ears, and since they are truly wireless, you don’t have to worry about having a cable in your way or yanking the headphones out because they got stuck on something. 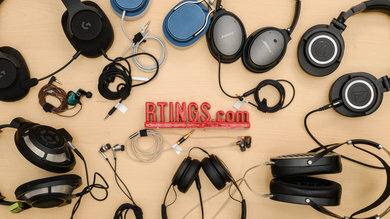 These headphones don’t have an audio cable, but come with a short USB-C charging cable. 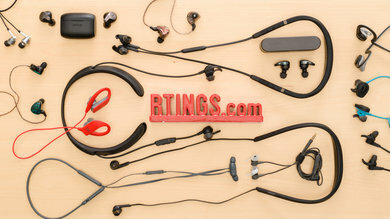 The RHA TrueConnect are okay sounding closed-back truly wireless in-ears. They have a great, punchy, and powerful bass, and a balanced mid-range. Their treble performance is sub-par as it lacks detail and brightness. Also, their bass can be overly thumpy, which some may like, but it is also a bit boomy. 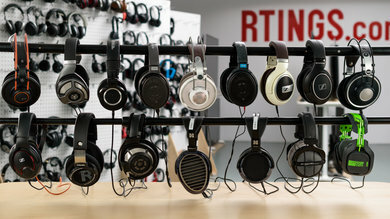 Their mid-range is also recessed, pushing vocals and leads to the back of the mix. 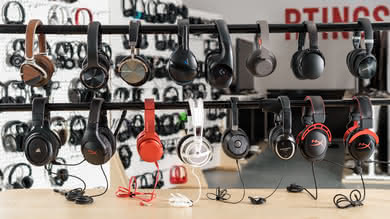 Overall, these headphones will be better suited for bass-heavy music genres and not ideal for vocal-centric music, as their sound profile will be more on the darker side. The bass is great. Their LFE (low-frequency extension) is at 10Hz, which is excellent. Low-bass is overemphasized by about 4dB, which adds a bit of thumpiness to the mix, which some may like. Mid-bass, responsible for kicks of drums and bass guitar, is over our target by about 2dB, which won’t be too noticeable. The high-bass, responsible for warmth, is over by more than 2.5dB, which will make the mix a bit boomy. 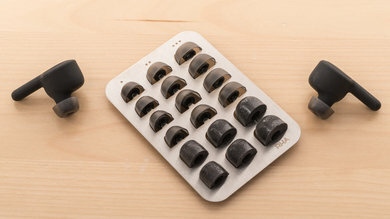 Overall, the bass of these earbuds is slightly overdone but can be great for bass-heavy music. 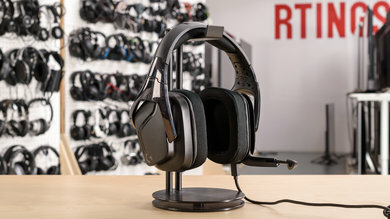 The mid-range performance of the TrueConnect is very good. The response is well-balanced, but there is a noticeable broad dip in mid-mid. This will push the vocals and lead instruments to the back of the mix, favoring lower-end frequencies. 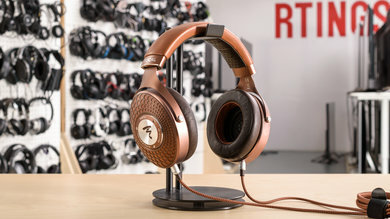 The TrueConnect’s treble range performance is sub-par. 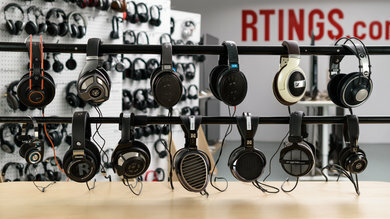 Half the range, up to 7kHz, is quite underemphasized. Those frequencies will lack detail and brightness and will be noticeable on vocals, leads, and cymbals. Also, frequencies after the 7kHz may sound a bit bright and piercing on some S and T sounds, but not everyone will hear this as intensely. The imaging performance is excellent. The weighted group delay is at 0.08, which is excellent. The GD graph also shows that the entire group delay response is below the audibility threshold. This ensures a tight bass and a transparent treble reproduction. 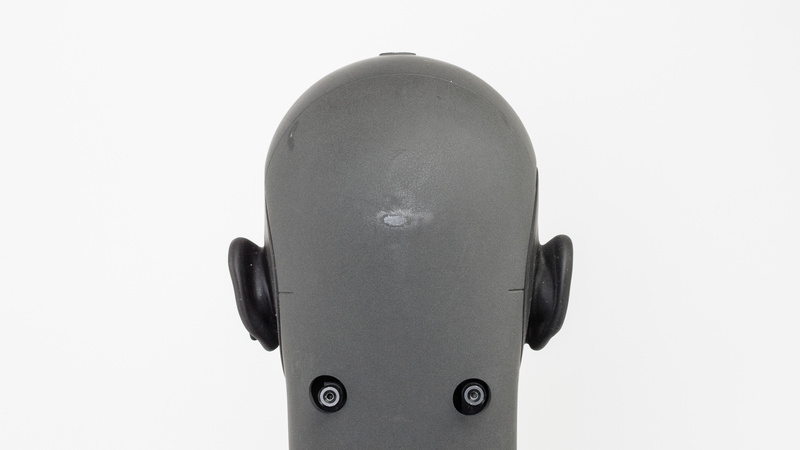 Additionally, the L/R drivers of our test unit were very well-matched, which is important for the accurate placement and localization of objects (instruments, voice, footsteps), in the stereo image. However, these results are only valid for our unit, and yours may perform differently. The total harmonic distortion performance of the TrueConnect is mediocre. The THD in the bass range is within good limits, but is elevated for the mid and treble ranges. Those frequencies may sound a bit harsh and impure. On the upside, there’s no big jump in THD under heavier loads, which is good. 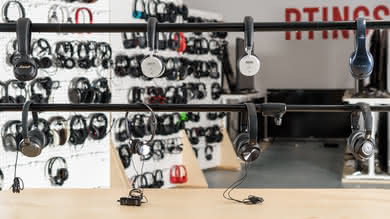 The RHA TrueConnect have great passive isolation. 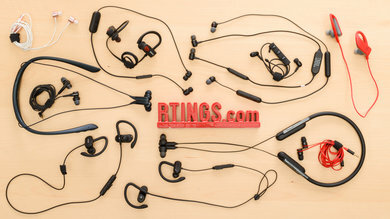 These in-ears don’t have an ANC feature and still isolate better than some ANC headphones we’ve reviewed. They create a good seal that blocks a good amount of noise and doesn’t leak. 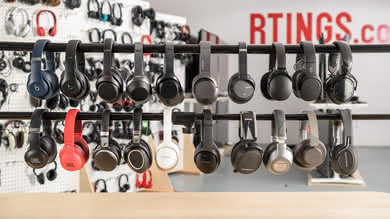 You’ll be able to use them on a bus or at the office and block out background noise. 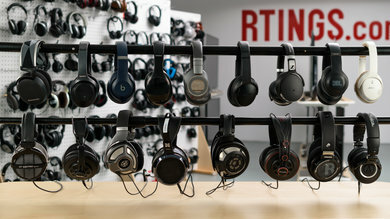 Also, since they barely leak, you’ll be able to raise your listening volume without disturbing people surrounding you. The noise isolation performance of the TrueConnect is decent. 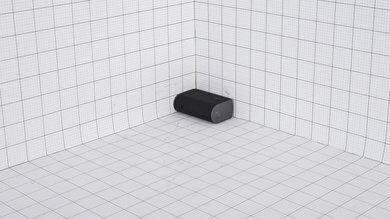 Even if they don’t have any ANC features, they passively block a good amount of ambient noise. 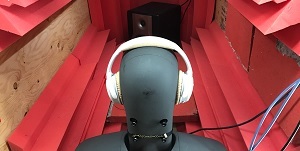 They achieved more than 12dB of isolation in the bass range, where engine rumbles sit, which is decent, but very impressive for passive isolation. However, there seems to be a weak spot centered around the 200Hz mark. In the mid-range, important for blocking ambient chatter, they achieved an isolation of 18dB, which is very good. 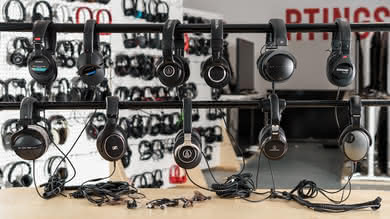 In the treble range, occupied by S and T sounds and fan noises like A/C systems, they provide about 37dB of isolation, which is also very good. 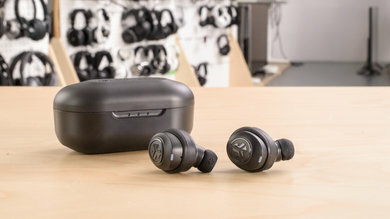 Like most in-ears, the leakage performance of the TrueConnect is excellent. 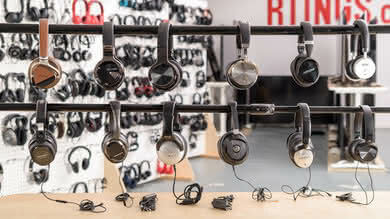 They basically do not leak, so there's no need to worry about disturbing people around with your music, even if you listen at very loud volumes. 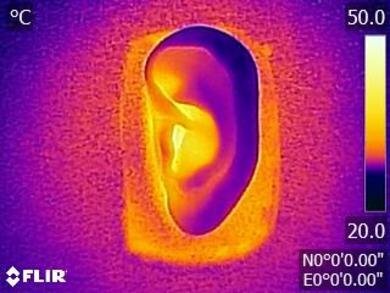 With the music at 100dB SPL, the leakage at 1 foot away averages at 25dB SPL and peaks at around 40dB SPL, which is roughly as loud as an average home and well under the noise floor of an average office. 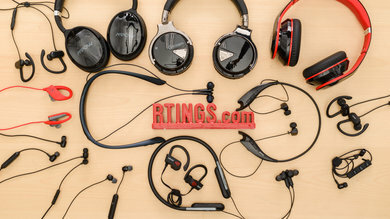 The performance of the RHA TrueConnect integrated mic is mediocre. 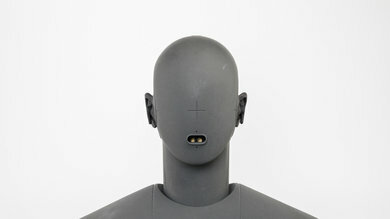 Speech recorded or transmitted with the microphone will sound thin and lacking in brightness. 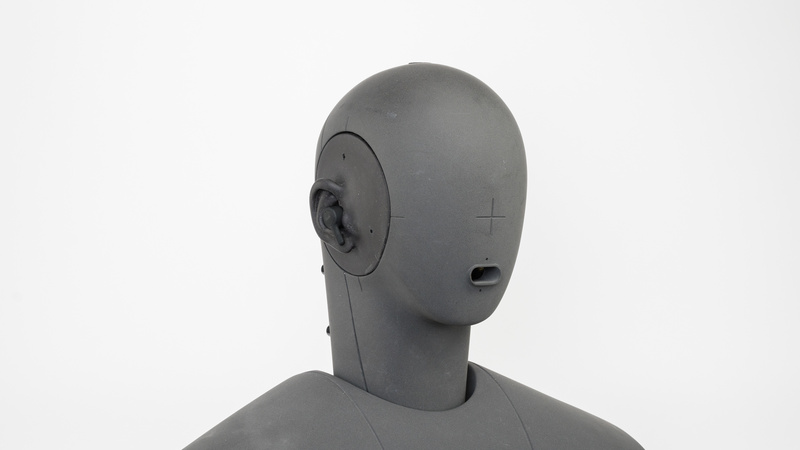 It will be intelligible in quiet environments. In louder environments, though, it will struggle to separate speech from background noise in loud situations like a subway station. 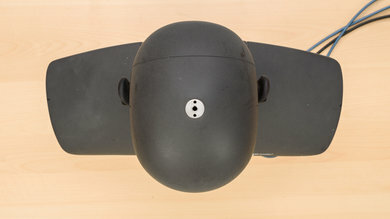 The TrueConnect’s microphone has a sub-par recording quality. The LFE (low-frequency extension) of 281Hz means speech recorded or transmitted will sound noticeably thin. The HFE (high-frequency extension) of 3.2kHz is poor and results in speech that is muffled and lacking in detail. It also negatively affects the intelligibility of speech, but will still be understandable in very quiet environments. 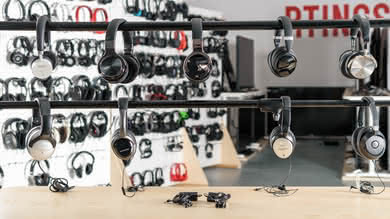 The integrated microphone of the RHA TrueConnect is average at noise handling. In our SpNR test, it achieved a speech-to-noise ratio of about 16dB, indicating it is best suited for quiet and moderate environments. 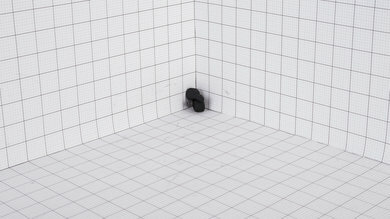 However, the microphone will struggle to separate speech from ambient noise in loud situations. 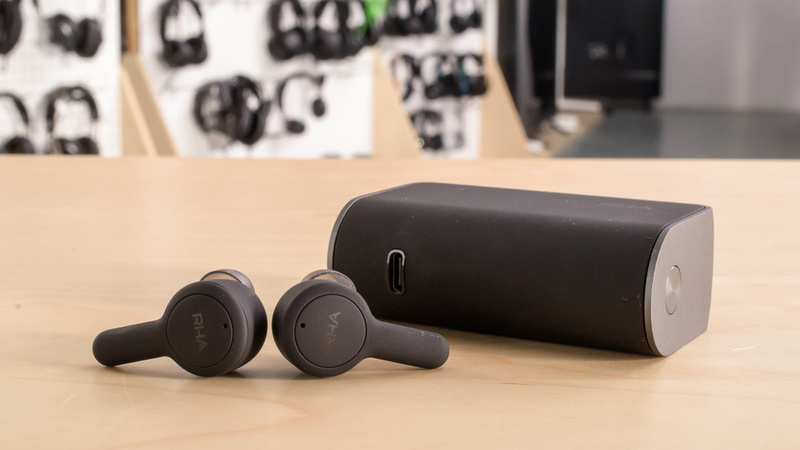 The RHA TrueConnect have a decent battery for a truly wireless design. They have over 4 hours of continuous playback time with one charge, and their case hold 4 charges. This might not be great for the office, as you’d need to charge them during your day, but their battery will be great for workouts and commuting. 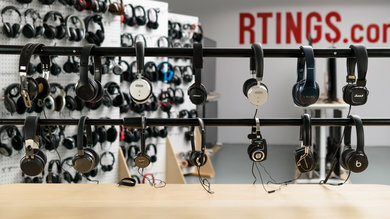 Unfortunately, they don’t have a companion app that would let you customize their sound to your liking to enhance your listening experience. 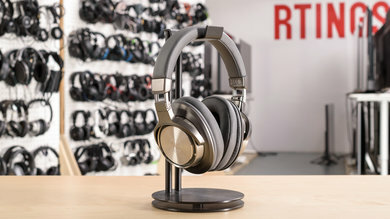 The TrueConnect last over 4 hours on one charge, which is decent for truly wireless headphones. Also, they take about a single hour to fully charge, which is short and convenient. Their charging case holds 4 additional charges, which brings their estimated total battery life at about 20 hours. There is also an advertised quick-charge feature that gives you 50% of the battery life for only 15 minutes of charging. They don’t have a companion app for customization options. 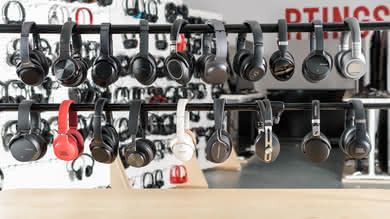 The RHA TrueConnect are Bluetooth truly wireless headphones with amazing wireless range. 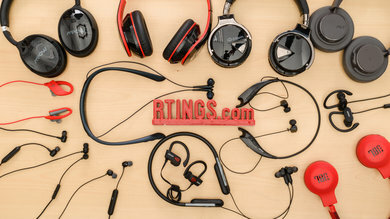 Their case has a USB-C connection for fast charging and but unfortunately, these headphones have very high latency and won’t be suitable for watching videos and gaming. 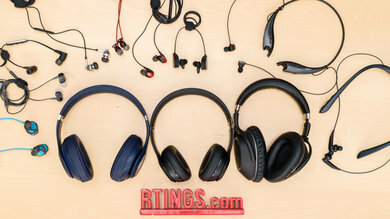 The TrueConnect are Bluetooth truly wireless headphones. They support Bluetooth version 5.0, which may provide you with better overall performance, but we couldn’t test this as our current test bench dongle supports version 4.2 for now. Unfortunately, they don’t support NFC or multi-device pairing. They come with a nice hard charging case that holds 4 additional charges but doesn’t have any other inputs. 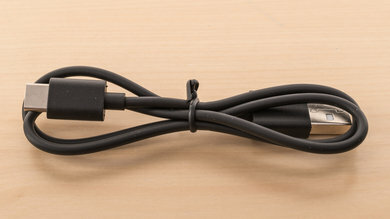 On the upside, they have a USB-C connection to charge the case. 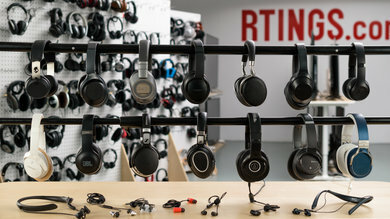 These headphones have amazing wireless range. With over 50ft of range when the source is obstructed, you should be able to walk to the next-door room without hearing audio cuts. You shouldn’t have any problems if you keep your source on you or near you while working out. However, wireless range is dependent on your device’s signal strength and many other factors, so you may experience different results. The latency of the TrueConnect is very high, and you will notice a delay when watching video content or when gaming. Some apps and devices seem to offer some sort of compensation, but the delay will most likely still be very noticeable. 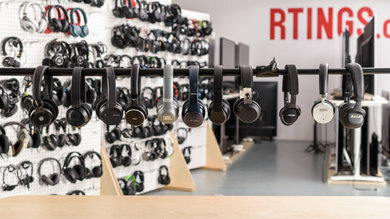 The RHA TrueConnect are okay truly wireless headphones that don’t necessarily stand out in any category. They do an average or good job at pretty much everything. 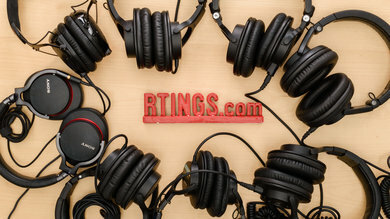 However, their sound is on the dark side and isn’t as accurate as other truly wireless headphones we’ve reviewed. 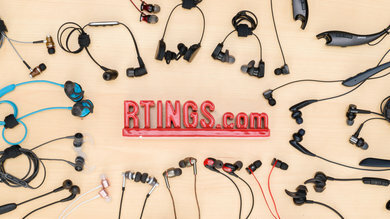 We suggest taking a look at our recommendations for the best true wireless earbuds, the best Bluetooth earbuds, and the best wireless earbuds under $100. 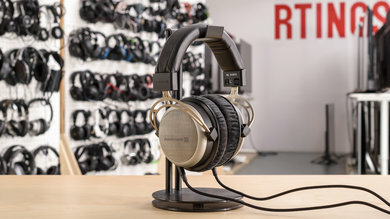 The RHA TrueConnect might be a better option for most people, as they are slightly cheaper than the Sennheiser Momentum True Wireless but perform quite similarly. 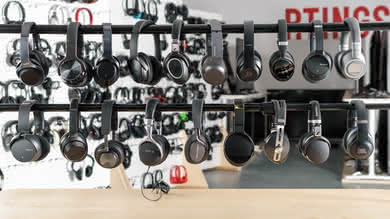 Both headphones have the same audio reproduction and lack detail in the treble range. 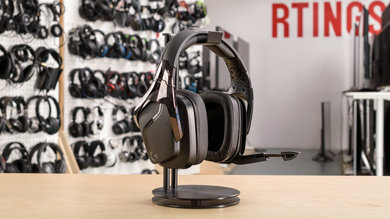 The TrueConnect are more comfortable and come with multiple tip options. Their smaller design might also fit more people. 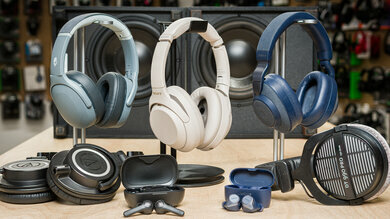 On the other hand, the True Wireless feel like more premium headphones and are better built. They also have less latency and support aptX-LL. Okay for mixed usage. 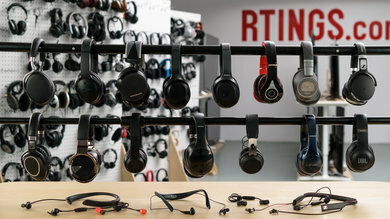 They have a darker-sounding audio reproduction, so they’ll be a decent option for bass-heavy music genres, but that’s about it. 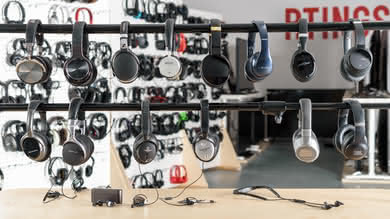 On the upside, their passive isolation performance is quite good and will be suitable for commuting or at the office, although they don’t have the best battery life. 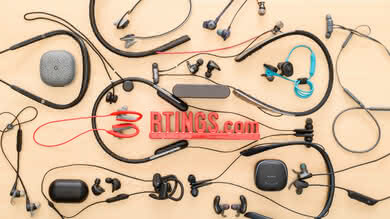 Their truly wireless design is great for sports, as it is breathable and stable. 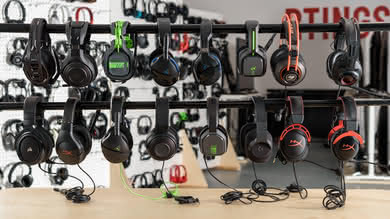 However, they have very high latency and wouldn't be suitable for watching TV or gaming. 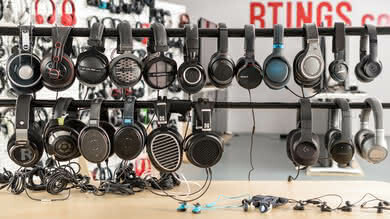 Ordinary for critical listening. 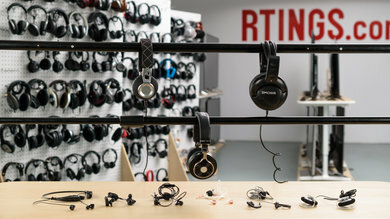 The RHA TrueConnect have a great bass that is punchy and powerful, and a balanced mid-range, but their treble performance is sub-par as it lacks detail and brightness. Also, their bass can be overly thumpy, which some may like, but it is also a bit boomy. 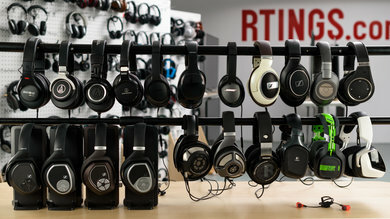 Their mid-range is also recessed, pushing vocals and leads to the back of the mix. They will be better suited for bass-heavy music and won’t be ideal for vocal-centric genres. Decent for commuting. 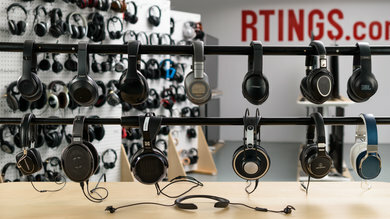 The RHA TrueConnect create a good seal inside the ears, block a good amount of ambient noise, and do a surprisingly good job at isolating low frequencies where engine rumbles sit. They are very portable and easy to carry around, and while their battery won’t be suited for long flights, it should be more than fine for your daily commute to work. Great for sports. 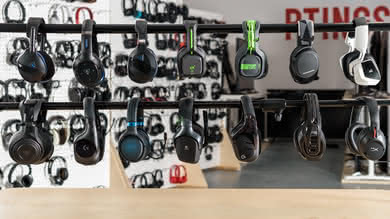 Their truly wireless design is portable, breathable, and stable for most sports. They are also rated IPX5 for water and sweat resistance, and their bass-heavy sound profile can help you get pumped during workouts. Decent to use at the office. Their fit isolates well against ambient chatter and high-frequency noises like A/C systems. 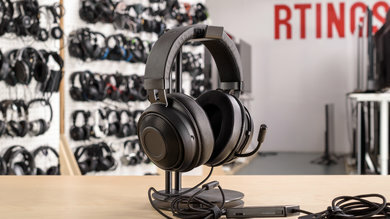 The RHA TrueConnect also barely leak, so you won’t bother colleagues around you. 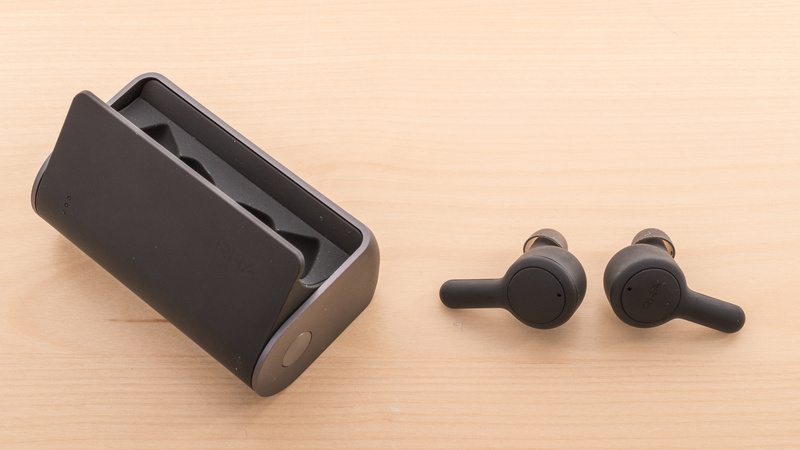 Unfortunately, while they have a decent battery for truly wireless earbuds, they will need charging as they won’t last you for a whole workday. 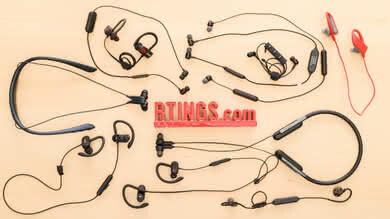 The in-ear fit might also not be ideal or the most comfortable to wear for multiple hours. Poor for watching TV. 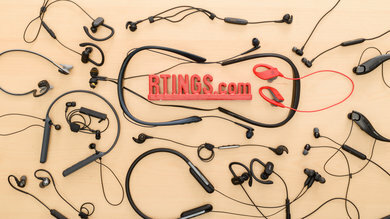 The in-ear fit won’t be the most comfortable option for watching movies or binge-watching TV shows for a few hours. 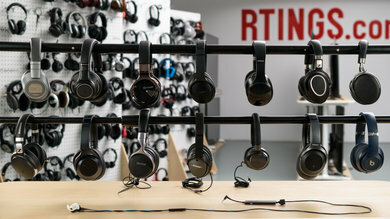 These headphones also have very high latency, and most people will notice a big delay between audio and video content, which is frustrating. Bad for gaming. 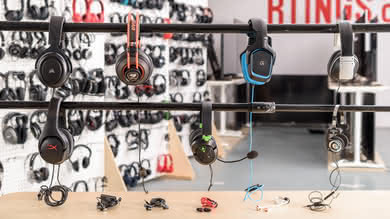 These headphones have terrible latency for gaming, and their integrated microphone is sub-par for talking online with friends or teammates. 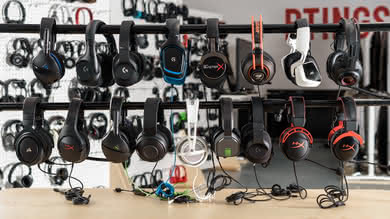 Even if you don’t need a microphone, because you play single player games, these headphones won't be suitable for this use case. 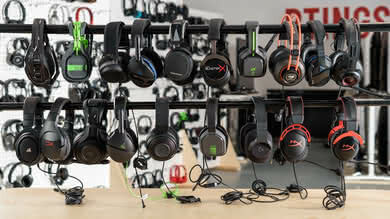 They’re also not customizable like some of the gaming headsets we’ve reviewed.